Beat in the egg and golden syrup then fold in the rest of the ingredients to make a soft dough. Place on middle rack in oven and bake at 170 degrees C for 8 – 10 minutes until brown, leave to cool on baking tray. Bake 1 biscuit first, if it over spreads out then add a little more flour to dough. This is a very interesting recipe, Esme. Quite different from my gingerbread recipe. 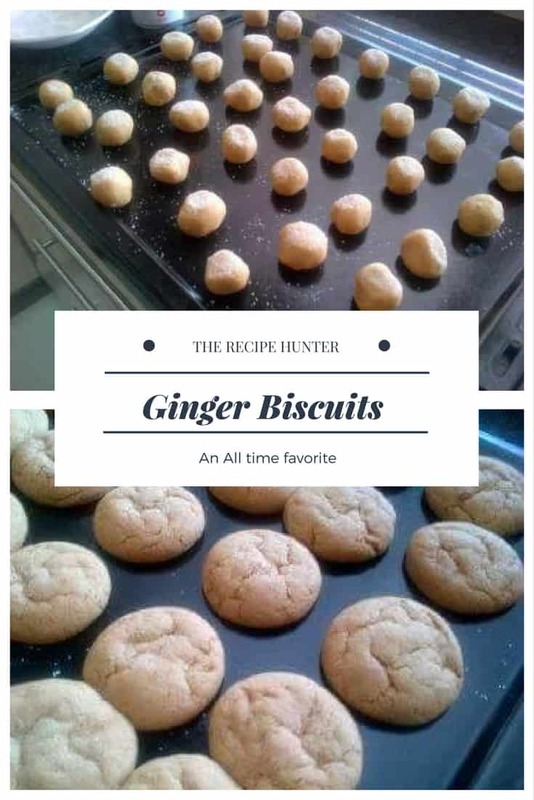 You had me at Ginger. I’m supposed to make so much fudge for this Saturday. But now… now I think they’re getting ginger cookies too, because I want these!